Economy and business class performance for busy work groups. A complete office solution at a price you can afford. 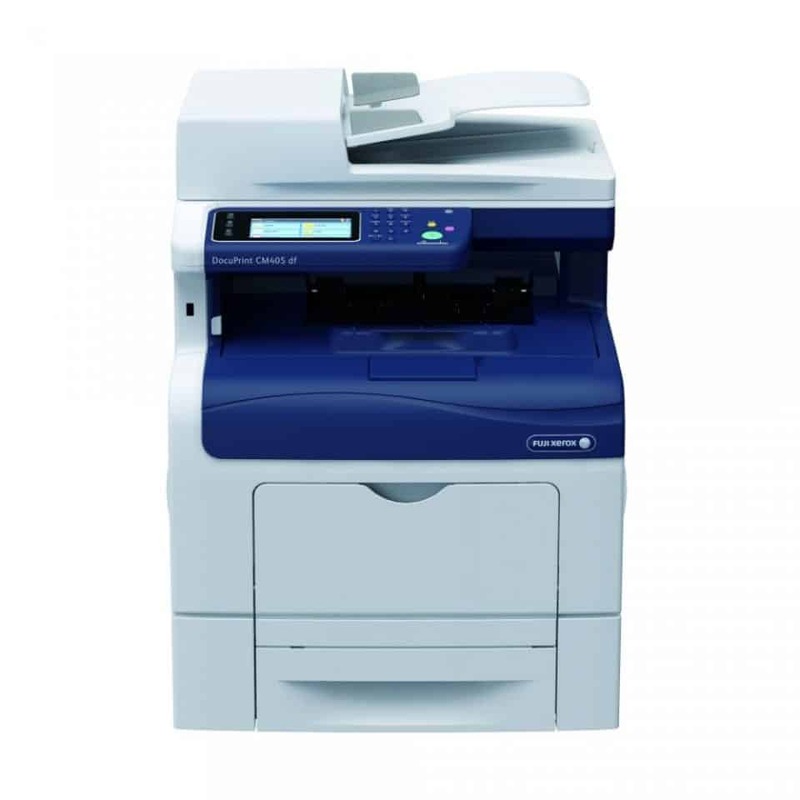 Fuji Xerox DocuPrint CM405DF is a 4-in-1 device that offers great value for your money and adds efficiency to your work. This printing machine is designed to function for the busy work force in order to aid their woes of printing in bulk. This is economical and works at an impressive speed in comparison to the typical printers. Working at 35 parts per million, the Fuji Xerox DocuPrint CM405DF produces sharp images at a resolution of 9600 x 600 display per inch interpolated. Meanwhile, when printing in duplex mode, this can run at 23 ppm in mono and color print. Automatically print in both sides of the paper to save the waiting time for your output to finish. It also has a small screen of more than four inches that lets you adjust the settings quickly during printing. For private documents and images that need to be printed out, the device itself has a security feature that would ask you to input a password before you can complete the printing process. This connects to your network using any wifi that the machine is connected to. Furthermore, when the machine finishes the printing process, it removes all data that is temporarily stored to keep no traces. Load papers on the top load tray of your printers and print wherever you are as long as you are connected to the wifi. In closing, this economical printer is great for business and home use. It keeps documents to be printed in private while prints out the things you need in fast speed. Aside from that, it won’t need too much toner as per experience of some users. There is a toner-saving mode that conserves the total toner you have before the refill is made. Both economical and efficient, this printer by Fuji surely does not disappoint.